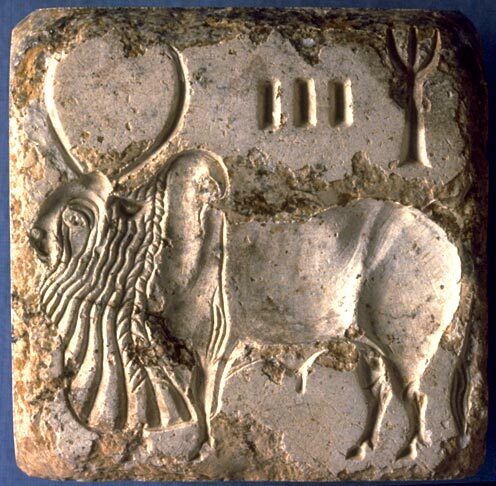 Steatite bull seal from Harappa. H88-1201. Ancient Indus research is constrained by a shortage of funds. One of the longest lasting, most successful projects as been the Harappa Archaeological Research Project (HARP), run by the University of Wisconsin, Madison, Harvard University and New York University since 1986. Donations to to support Indus research organized through the Harappa Archaeological Research Project (HARP), can be made directly to the University of Wisconsin Foundation, Madison, and these donations are tax-deductible in the United States. 100% of the funds support research in the field, laboratory analysis and work directly related to excavations of ancient Indus sites. They do not fund this website, which has been contributing funds to HARP since 1996. Donations can be made on the University of Wisconsin website which is pre-filled out for contributions to the Indus Civilization Research Fund - 112546336 under the direction of Prof. Jonathan Mark Kenoyer, Department of Anthropology. HARP has been supported since 1995 by the National Endowment for the Humanities (NEH), the National Geographic Society, the American School of Prehistoric Research (Peabody Museum of Archaeology and Ethnology, Harvard University), Harvard University, the University of Wisconsin, New York University, the Smithsonian Institution, the Kress Foundation, the Wenner-Gren Foundation, Harappa.com and private donors around the world.